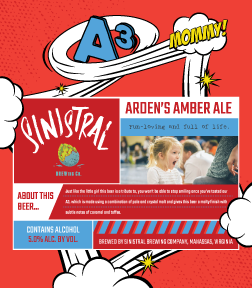 Just like the little girl this beer is a tribute to, you won’t be able to stop smiling once you’ve tasted our A3, which is made using a combination of pale and crystal malt and gives this beer a malty finish with subtle notes of caramel and toffee. 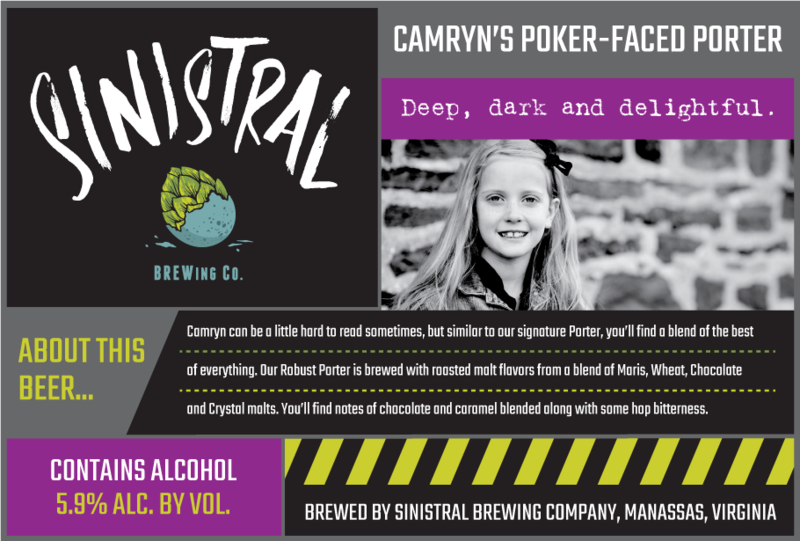 Camryn can be a little hard to read sometimes, but similar to our signature Porter, you’ll find a blend of the best of everything. 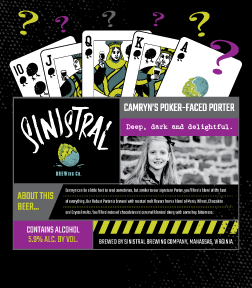 Our Robust Porter is brewed with roasted malt flavors from a blend of Maris, Wheat, Chocolate and Crystal malts. You’ll find notes of chocolate and caramel blended along with some hop bitterness. 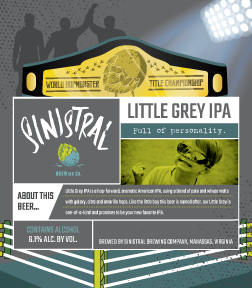 Little Grey IPA is a hop-forward, aromatic American IPA, using a blend of pale and wheat malts with galaxy, citra and amarillo hops. 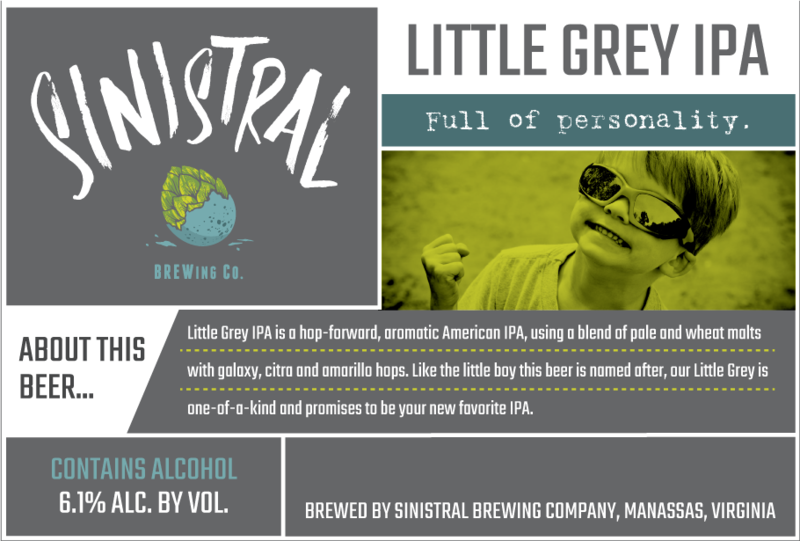 Like the little boy this beer is named after, our Little Grey is one-of-a-kind and promises to be your new favorite IPA. 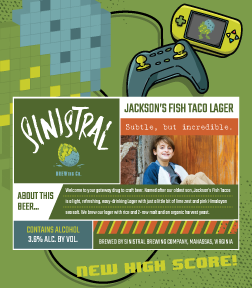 Welcome to your gateway drug to craft beer. 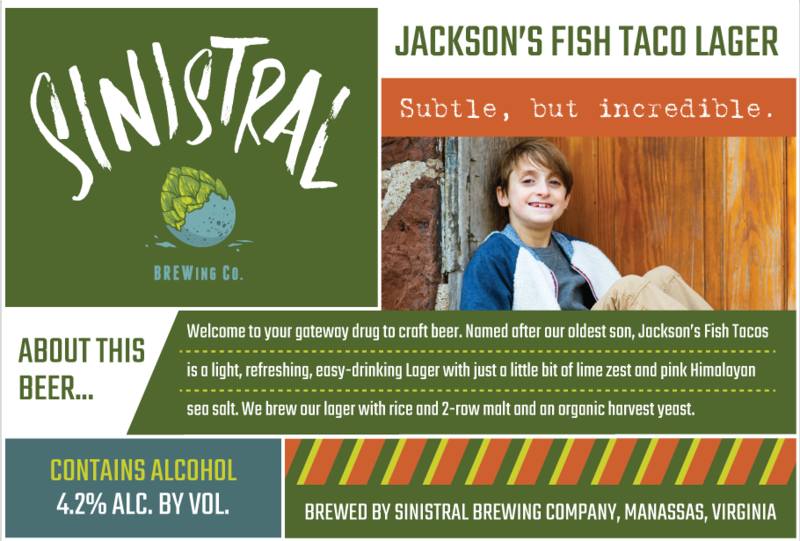 Named after our oldest son, Jackson’s Fish Tacos is a light, refreshing, easy-drinking Lager with just a little bit of lime zest and pink Himalayan sea salt. 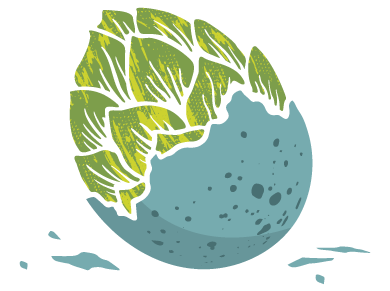 We brew our lager with rice and 2-row malt and an organic harvest yeast. 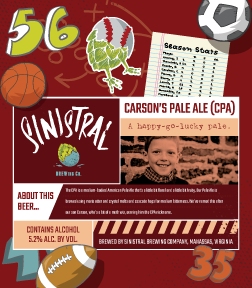 The CPA is a medium-bodied American Pale Ale that’s a little bit floral and a little bit fruity. 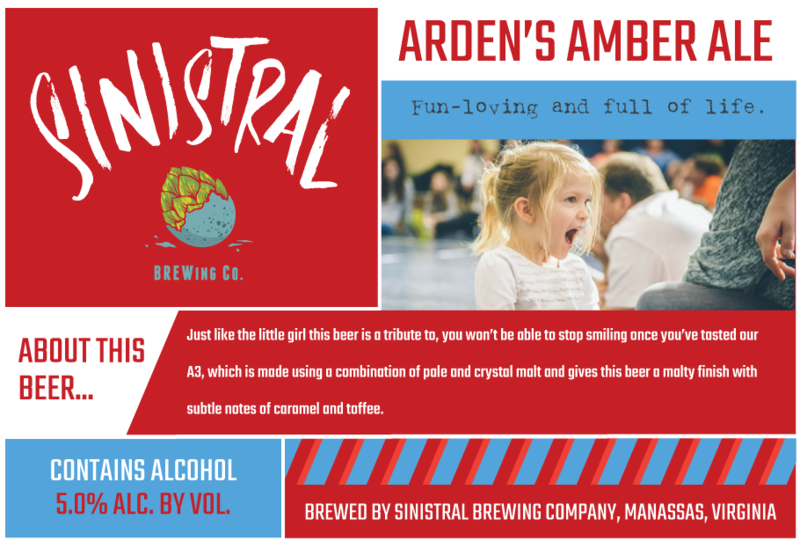 Our Pale Ale is brewed using maris otter and crystal malts and cascade hops for medium bitterness. 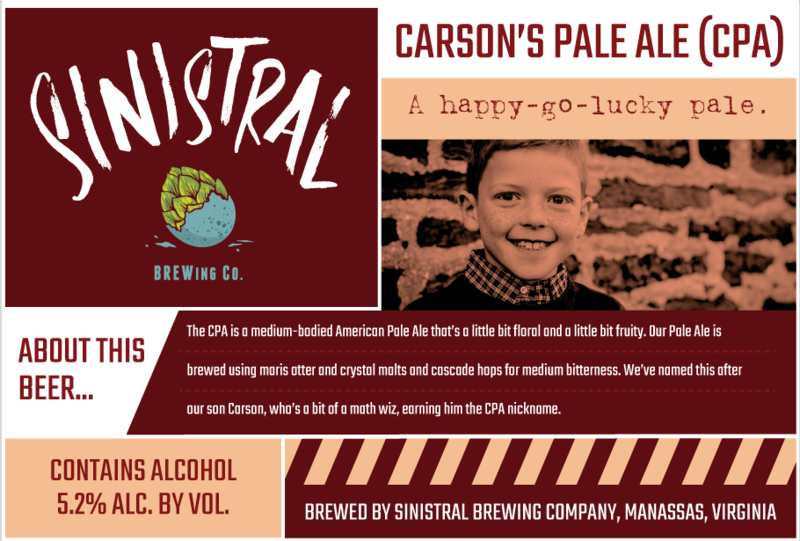 We’ve named this after our son Carson, who’s a bit of a math wiz, earning him the CPA nickname. 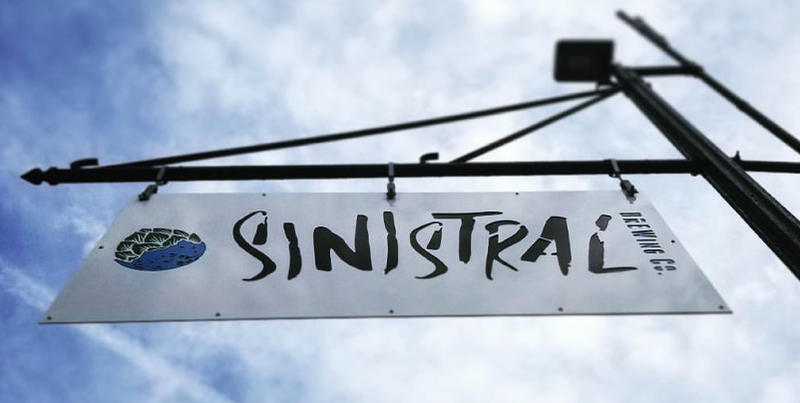 and stay up-to-date with all things Sinistral!